There is strong evidence that many media across Europe are finding it a challenge to report EU policies adequately. Indeed, the number of journalists accredited to the EU institutions has shrunk by one third in recent years. On the other hand, the European Union has been given more responsibilities under the Lisbon Treaty. Therefore, Fondation EURACTIV (with support from other foundations, an international jury and independent media groups) developed an innovative fellowship programme. 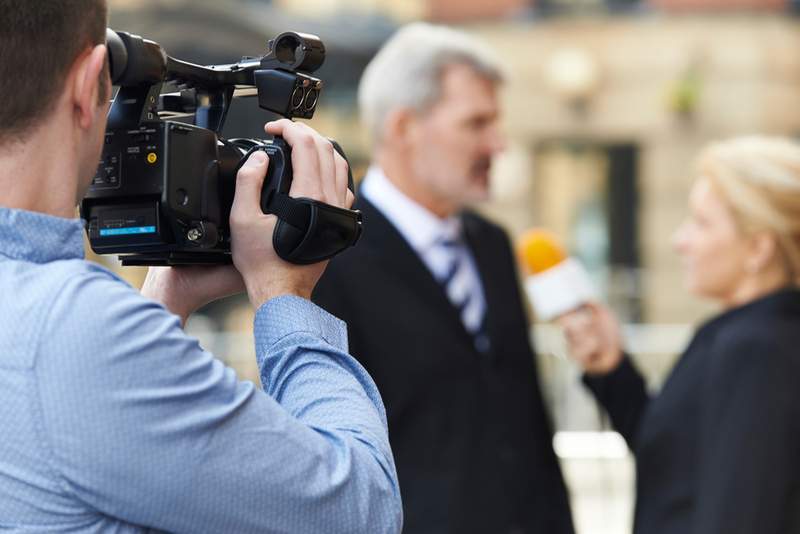 Its objective was, primarily, to train national and regional journalists to report on the EU from a distance; but it also helped them learn ‘How to turn European stories local – and local stories European’. Initially, twelve journalists participated in a one-week seminar. Then, the best six out of those twelve were invited to spend five weeks in Brussels, in the premises of EURACTIV. 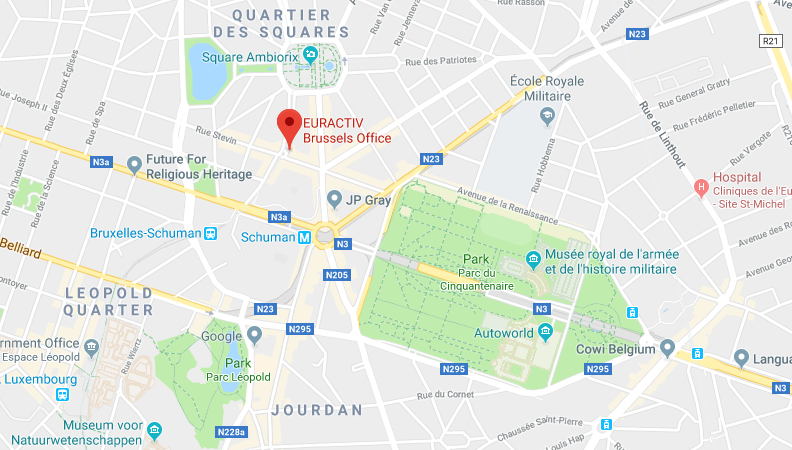 EURACTIV has a team of experienced EU editors and reporters literally across the street from the Press Room of the European Commission and Council where all main EU press conferences are held. At the core of the programme was, in particular, an ‘alumni group’ which publishes cross-border European articles for their domestic/national media as well as internationally. The alumni had the opportunity for further exposure during and after the programme on the EU Journalism Fellowship Blog. All fellows were also invited to a closed Facebook group to connect, network, share, organise, ask, etc. Julia has been working with the Polish Press Agency taking care of the foreign desk for the last 3 years. Moreover, she gained experience in European circles through ministry visits to Brussels conferences and Strasbourg events. She has a degree in languages and culture. Jessica is an experienced energy environmental journalist from the United Kingdom with knowledge of current affairs, policy and renewable energy. She has notably done some freelancing for the Guardian News on renewable energy, intelligent transport technology. She has a postgraduate diploma in newspaper journalism from Cardiff University. Eliza brings along more than three years of work experience in print and TV journalism. Her longest stint has been with DAPD, the former biggest news agency in Germany covering politics and financial issues. She has previously done internships in London working both for BBC Television and Independent Television News. Eliza is currently working in Frankfurt with the focus on financial news. French media professional with Master’s Degree from Science Po Grenoble specialized in audiovisual work and video editing. Adrien is currently freelancing for Liberation and Ouestfrance.fr in Berlin. She has good radio experience having worked with RMC Sport and interest to cover European issues. Claire-Marie has been working with both radio and press media, notably with regional Alsace Bleu. In addition, she has an excellent training in journalism, having completed a Masters from University of Strasbourg Centre of Journalism Education. Claire-Marie previously interned with the Die Deutsche Welle in Germany in the French newsroom of the international German broadcast radio station. 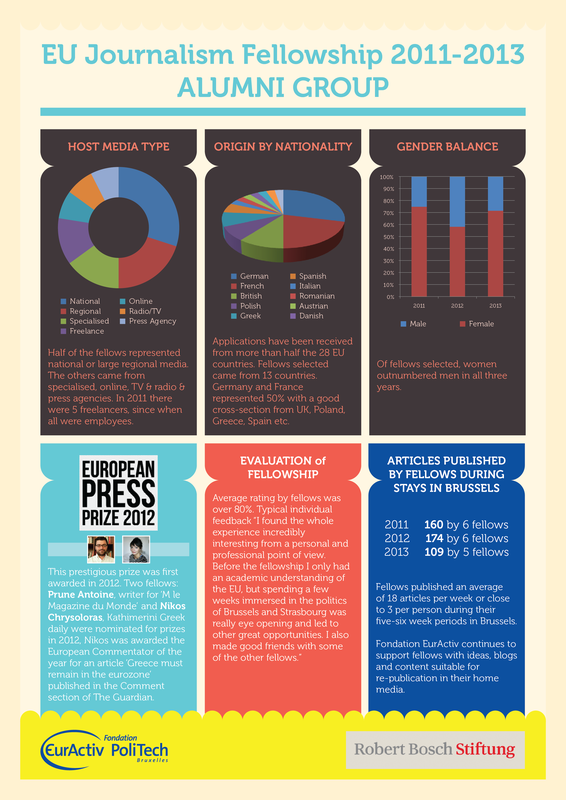 Read the EU Journalism Fellowship Blog to know more about the programme! Marine, based in Paris, works with Agra alimentation specialising in economics and agri-policy. Prior to Agra, she worked on communications managing projects and developing promotional materials. Marie has a degree in political science and communications. Fabien currently works with Lyon Capitale, online media covering business, politics, environment and sports. She previously worked with Le Figaro and L’Express in Paris. Michaela works with the key daily economic media in Czech Republic covering health, economics and domestic news. She has a degree in journalism from the Charles University in Prague (2011). Daniela works with Radioradicale.it, online radio covering Italian parliamentary news. Previously, she was contributing to various Italian media on local and national level, RaiNews 24, Tg1 to name a few. Daniela has a keen interest to grow her portfolio towards more European issues with relevance to Italian politics. Katia has diverse experience in journalism. Above all, she worked for the 2nd biggest newspaper Eleftherotypia in Greece, and also freelanced for CNBC Europe and Norwegian Aftenposten. She is currently working with Hellada Avrio, Greece tomorrow. Katia has a Bachelor’s Degree from Athens Panteion University from 2005. Would you like to reach Fondation EURACTIV? Contact us here! Mihail works with Viata Medicale, Romanian medical press covering health in tow with legal issues. He has a degree in Dentistry and is pursuing his career in health/medical journalism. Moreover, he received an award for “Most active medical journalist“ in October 2012, granted by UNAS (National Union of Dental Societies). He was also winner of the 2009 “Ioan Chirila” Talent of the Year Award for Best Non-Professional Sports Writer. Gesa joined the fellowship training whilst working for regional press, Kölner Stadt Anzeiger covering politics/economics, and media at the German level. She also worked with Radio Cologne and Deutsche Presse Agentur in Washington DC. She is now working with Spiegel Online media. Elisa is responsible for the page 2 of der Tagesspiegel which brings all key news to its readership. Previously, she did various internships with Agence France Presse, Zeit online and with some regional press in Germany. Prior to the fellow training Elisa covered EU news accompanying a German MEP to Strasbourg giving her insight into the workings of EU institutions. Owen works with UCC 98.3FM university radio channel producing and presenting EU Radio programme with contributing input from EU/Irish Political sources. He won a young Journalist/Broadcaster competition, sponsored by Fine Gael/EPP-ED for my Broadcast work “Lisbon: Yes or No” broadcast in June 2008. Estefania is currently Editor-in-chief of the International Newsdesk for the Spanish Radio Television (RTVE) website, the public broadcasting company. She also collaborates as a reporter with the 24-hour TVE News Channel. Her work focuses mostly on European and Global issues, following a broad range of topics with an special interest in cooperation and human development. Starting her career at the Greek national radio NET 105.8, Antigoni went on to work at several online publications like the Financial News Agency and Attica Press. With a storng focus on finance, business and energy, she is currently writing for a news agency focussed on energy issues: www.energypress.gr. Katia is currently reporter and news presenter for Radio France: France-Blue Alsace (Strasbourg) and over fifteen other regional and local public-service broadcasting-stations throughout France. She focuses on general news, European Union activities and economic trends. Previously, she also worked as a reporter at Deutsche Welle, Radio Florival, and Laguingette. Nikos joins this programme with more than 4 years of practical experience across a set of diverse media platforms (print, web, television, and publishing). He holds a PhD from the London School of Economics (LSE), and is currently writing for Kathimerini, Greece’s leading newspaper and best selling broadsheet. He focuses on issues regarding, chiefly, international political economy, social policy, and European integration. Editing the political pages of Süddeutsche.de, the online edition of the Süddeutsche Zeitung, Kathrin is frequently confronted with EU policies and EU institutions. She focuses her work on international, as well as domestic politics. Previously, she worked as a reporter at the Passauer Neue Presse, and as press and PR officer at the Ecademy for Civic Education. Johanna currently works for the public national radio Deutschlandfunk, editing programmes focused on European politics, European integration and the European Union. In addition, she presented several radio programmes (‘Europe today’ et al.). She also worked as a radio journalist for Deutsche Welle and for the online department of WDR.de. Holding a MA in Broadcast Journalism from City University London, Joanna is currently working at the English department of Deutsche Welle as their Europe editor. She combines writing and editing with producing and occasionally presenting a weekly radio show. Moreover, she has previous experience working for BBC, and EuradioNantes. For the past 6 years, Christoph has been working for Handelsblatt, where he started as reporter and is currently editor of the companies and markets section. He graduated from the University of Hamburg, with a degree in Political Science, combined with Economics and Journalism and gained further experience at Die Zeit, Wirtschaftswoche and News Frankfurt. After graduation from the University of Latvia, where she studied Communication Science with a major in journalism, Alina started to work for the Latvian National News Agency LETA. Alina covers issues related to the politics and parliament of Latvia, following a wide range of topics. She also obtained a Master’s degree in Economics. Jennifer currently works as political reporter for the Aberdeen Evening Express, a fast-paced, two-edition daily regional newspaper. She focuses on energy issues and regional policies, linking local issues from Europe’s energy capital Aberdeen to EU policy issues. Moreover, she had previous experience at the Times, the Yorkshire Post, the Independent on Sunday, and others. As a published web, print and TV journalist with more than two years experience covering European and Danish issues, Anders is currently reporting mainly for the web-publication Ugebrevet A4, focusing on issues like health care, industrial policy and the financial crisis, as data journalist. He has previously been published in Politiken, Information, and Ekstra Bladet. Daniel is currently Editor-in-Chief for Forsal, an online publication focused on business and financial news, where he started as online editor. Moreover, he gained experience from working at the economic department at Thomson Reuters, and the Polish Press Agency (PAP). He is also interested in covering issues like transport and energy, as well as digital agenda. Robert is finalizing his MA in European Studies, while at the same time writing for the Neue Zürcher Zeitung and Magazine Lyon Capitale. He will also continue to Neue Zürcher Zeitung, where he will benefit from his earlier experience there, but also from his experience at the Deutsche Presse Agentur and the Märkische Oderzeitung. The international jury consisted of Mona Hinz (Robert Bosch Stiftung), Quentin Dickinson (Radio France), Aidan White (former Sec Gen of AEJ/IFJ), Ann Cahill (President of International Press Association), Peter Kramer (European Business Review), Christophe Leclercq (Fondation EURACTIV), Julian Oliver (Fondation EURACTIV), Joachim Weidemann (DPA), and Ewald König (Europäische Multiplikatoren-Medien). The 12 journalists were selected to participate in a one-week seminar in Brussels, after which six fellows spent five weeks amongst the journalists of EURACTIV in EURACTIV’s Brussels network office. More specifically, the initial one-week seminar included training on contemporary case-studies and new journalism techniques. Topics included: How to turn EU stories local – and local stories European, ‘Europe 2020’, the financial crisis and reforms as well as energy policy. Based on journalists’ active participation, their basic understanding of EU institutions and policy making, their capacity to find relevant angles to story ideas and their networking capacities shown during the seminar, six journalists were finally selected for five-week work experience with Fondation EURACTIV in Brussels. Learn more about our projects here! Moreover, this intense training phase provided a unique opportunity to live and breathe EU journalism right in the centre of Europe within a team of experienced, international reporters. During the training weeks, journalists continued to produce stories for their home media. As such, they had the chance to cover both areas of their own expertise (related to their home media) or unrelated policy areas. In addition, a guided trip to a Strasbourg European parliamentary week will be organised and the training period in Brussels should coincide with a EU Summit. Furthermore, regular coaching was provided from the EURACTIV’s managing editor, as well as external coaches from other Brussels based media. Very good oral and written English.